Visitors who like snow, greenery, rivers and lots of adventure must go to Himachal Pradesh. A one more heaven for travellers. The word Himachal has made by "The land of snows" Himachal Pradesh is located in the western Himalayas. Surrounded by majestic mountains, out of which some still challenge mankind to conquer them, the beauty of the land is beyond imagination. Shimla, one of the most captivating hill stations, is the capital of the state. Shimla used to be the summer capital of the British Raj when they ruled India. Now it's the state capital of Himachal Pradesh. This wonderfully cool and charming town sprawls along a mountain ridge, enveloped in oak, pine and rhododendron forests. It's quite famous for its colonial style buildings and historic railway. Manali, with its soothing backdrop of the Himalayas, offers a blend of tranquility and adventure that makes it one of northern India's most popular destinations. Place where you can do as much as adventure as you want to do like- Paragliding, Rafting, River Crossing, Riding in hot air balloon and many more..
Generally speaking, the term “Big Data” refers to any data that for whatever reason (not just volume) cannot be affordably managed by your traditional systems. Cost savings: The implementation of a Real-Time Big Data Analytics tools may be expensive, it will eventually save a lot of money. There is no waiting time for business leaders and in-memory databases (useful for real-time analytics) also reduce the burden on a company’s overall IT landscape, freeing up resources previously devoted to responding to requests for reports. Fraud can be detected the moment it happens and proper measures can be taken to limit the damage. The financial world is very attractive for criminals. With a real-time safeguard system, attempts to hack into your organization are notified instantly. Your IT security department can take immediately appropriate action.  Using the information kept in the social network like Facebook, the marketing agencies are learning about the response for their campaigns, promotions, and other advertising mediums.  Using the data regarding the previous medical history of patients, hospitals are providing better and quick service. It requires special computer power: The standard version of Hadoop is, at the moment, not yet suitable for real-time analysis. New tools need to be bought and used. If you were still in the process of combining and constructing one data warehouse for all your enterprise functions, big data may stomp out those plans for good. In its expectations of disruptive tech trends for 2013, Gartner Research writes that the maturity of “strategic big data” will move enterprises toward multiple systems. In this approach, an enterprise will have a computer to store and process big data. Here data will be stored in an RDBMS like Oracle Database, MS SQL Server or DB2 and sophisticated software’s can be written to interact with the database, process the required data and present it to the users for analysis purpose. This approach works well where we have less volume of data that can be accommodated by standard database servers, or up to the limit of the processor which is processing the data. But when it comes to dealing with huge amounts of data, it is really a tedious task to process such data through a traditional database server. Google solved this problem using an algorithm called MapReduce. This algorithm divides the task into small parts and assigns those parts to many computers connected over the network, and collects the results to form the final result dataset. Or we can say MapReduce is a parallel and distributed solution approach developed by Google for processing large datasets. MapReduce is utilized by Google and Yahoo to power their web search. Doug Cutting, Mike Cafarella and team took the solution provided by Google and started an Open Source Project called HADOOP in 2005 and Doug named it after his son's toy elephant. Now Apache Hadoop is a registered trademark of the Apache Software Foundation. Hadoop runs applications using the MapReduce algorithm, where the data is processed in parallel on different CPU nodes. In short, Hadoop framework is capable enough to develop applications capable of running on clusters of computers and they could perform complete statistical analysis for huge amounts of data. Hadoop Streaming - a utility that allows you to create and run jobs with any executables (for example, shell utilities) as the mapper and/or the reducer. Hadoop Pipes - a SWIG-compatible (not based on JNI) C++ API to implement MapReduce applications. Click to purchase your dream house. India is very beautiful country. Its culture, its places, its people everything is so beautiful. India offers its foggy hill stations, captivating beaches, historical monuments, golden deserts, serene backwaters, pilgrimage sites, rich wildlife, and colorful fairs to its travelers which capture the heart of every tourist. Here I am listing the 5 amazing-beautiful travel destinations in India as per my experience. Kerala in South India also called "Gods own country', totally fulfills this title. Very beautiful, very peaceful place. Full of greenery. Kerala is the most literate state in India. Known for its backwaters, mountains, coconuts, spices and dance form like Kathakali. If anyone is planning to go Kerala, don't forget to eat their traditional food called as 'sadhya' and must stay in houseboats in backwaters. Munnar, Thiruvananthapuram, Allepy backwaters, Coachi are great places of Kerala. Tamilnadu also called as 'Temple state of India'. Tamilnadu is combo of historic culture and contemporary attraction, that gives a totally new refreshing travel experience. With Tamilnadu tourism also get to know more about the popular dance form like Bharat Natyam which talks a lot about the Tamilnadu culture. The longest Marina Beach, Kanyakumari beach, Rameshwaram beach awaits the beach seekers to enjoy memorable beach vacations here. Chennai, Madurai, Vellore, Kanyakumari, Rameshwaram are the amazing places of Tamilnadu. Ooty is very beautiful hill-station. You can use toy train to go there.Very interesting experience to travel in toy train. Also Tamilnadu have some amazing waterfalls like Hogenakal Waterfall. Karnataka is a tapestry of colours, cultures, flavours, landscapes, timelessness and heart stopping beauty. It’s a place where vibrant worlds seamlessly meld into one another every few hundred kilometers. 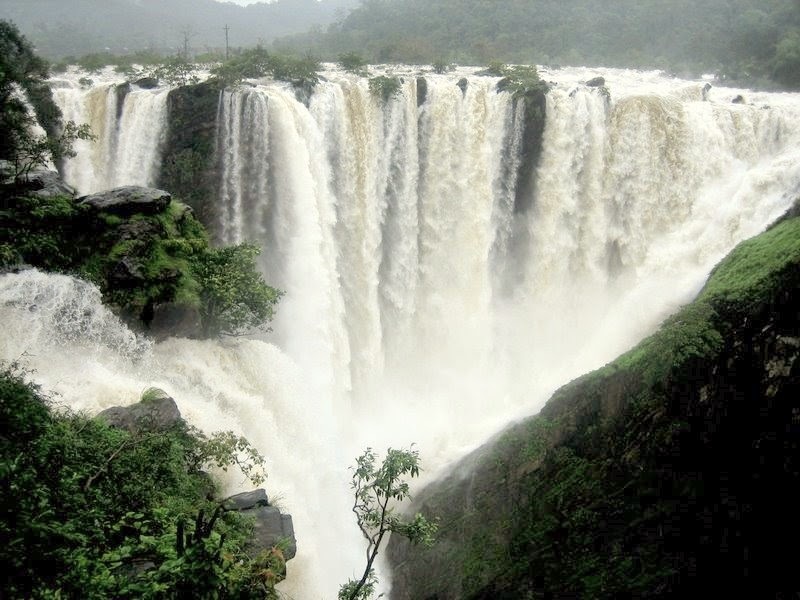 The waterfalls of Karnataka and Kudremukh are listed as must-see places and among the "1001 Natural Wonders of the World". 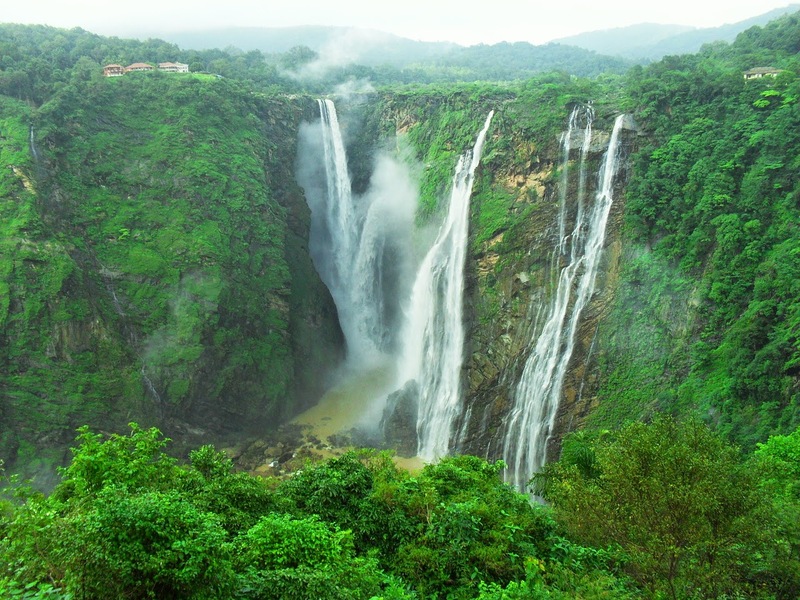 Jog Falls is India's tallest single-tiered waterfall. Gokak Falls, Unchalli Falls, Magod Falls, Abbey Falls, Shivanasamudra Falls among other popular waterfalls. Mysoe, banglore, Shimoga, Manglore are main travel cities of Karnataka. 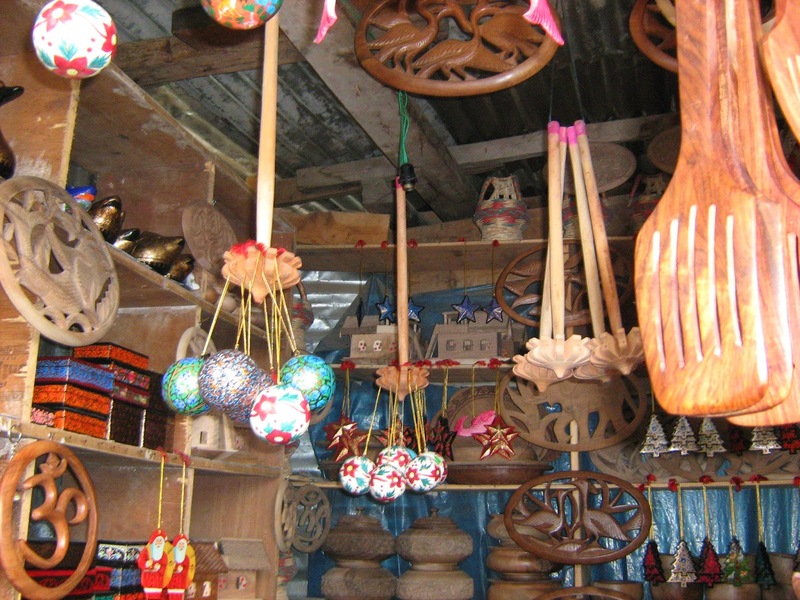 Sagara town is very famous with its local attraction. 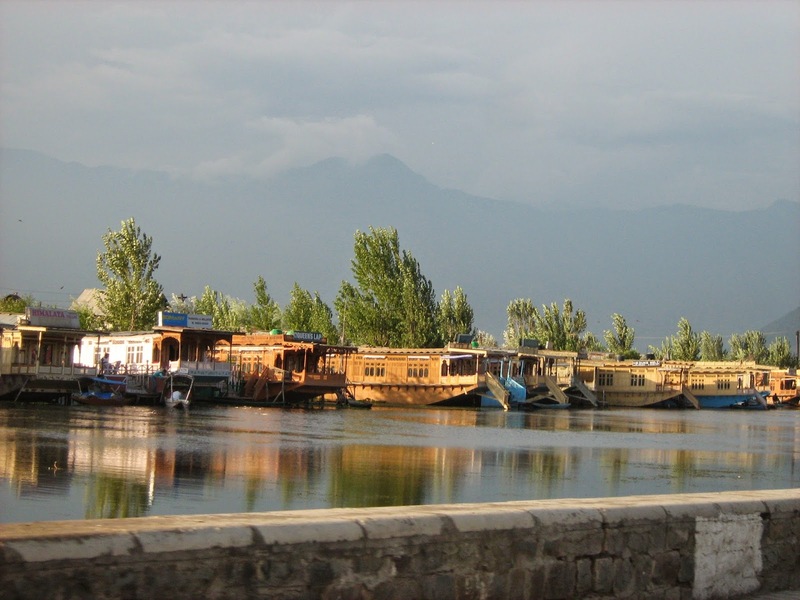 For more information click..
Kashmir is the place which is very beautiful, Delightful, Unforgettable. A place where anyone can lost in its beauty. Ride in 'shikara' the local boats in Dal lake is awesome, the experience to see night market and staying in boat-house in Dal lake is unforgettable. Everyone should experience this. Shrinagar,Pahalgam, Gulmarg, Sonamarg, Patnitop are the main beautiful attractions of Kashmir. Kashmiri drink called as 'Kahva' is very tasty drink. Rajasthan is one of the most popular travel destination in India. Every third foreign tourist visiting India also travel to Rajasthan, known for its palaces, forts, desert, camels, elephants, twirled mustaches, colorful culture, festivals. 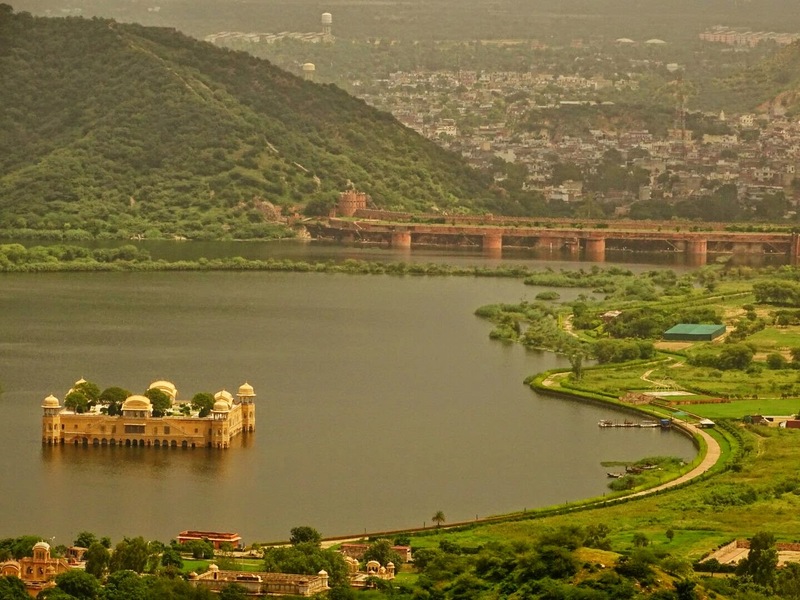 The palaces of Jaipur, lakes of Udaipur, and desert forts of Jodhpur, Bikaner & Jaisalmer are among the most preferred destinations of many tourists, Indian and foreigners. Jaipur, Udaipur, Jodhpur, Jaisalmer, Bikaner are the most visited cities of India. Dal-Baati-Churma is the main dish of Rajasthan, which is very delicious. Data Storage Model Individual records (e.g., "employees") are stored as rows in tables, with each column storing a specific piece of data about that record (e.g., "manager," "date hired," etc. ), much like a spreadsheet. Separate data types are stored in separate tables, and then joined together when more complex queries are executed. For example, "offices" might be stored in one table, and "employees" in another. When a user wants to find the work address of an employee, the database engine joins the "employee" and "office" tables together to get all the information necessary. Varies based on database type. For example, key-value stores function similarly to SQL databases, but have only two columns ("key" and "value"), with more complex information sometimes stored within the "value" columns. Document databases do away with the table-and-row model altogether, storing all relevant data together in single "document" in JSON, XML, or another format, which can nest values hierarchically. Schemas Structure and data types are fixed in advance. To store information about a new data item, the entire database must be altered, during which time the database must be taken offline. Typically dynamic. Records can add new information on the fly, and unlike SQL table rows, dissimilar data can be stored together as necessary. For some databases (e.g., wide-column stores), it is somewhat more challenging to add new fields dynamically. The Birds Will Automatically Come"